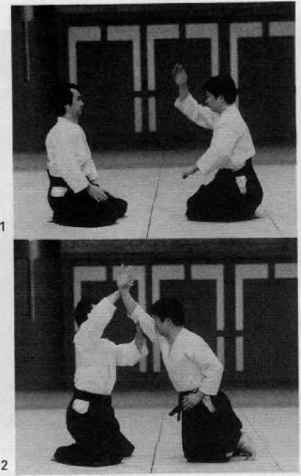 This is the same action as in Shikake-waza but instead of a full circle only a semi-circle is necessary, to sweep aside the down-coming blade. Men-barai-men is shown in plates 138 and 139. The action of Harai is to thrust the defence spiral, or cone obliquely into the attack arc, so as to cant it over and tilt the axis off, see diagram 13. Strong Shibori (wringing) action is made when sweeping and the hands and palms should relax again prior to the actual cut. Harai give the greatest variety since they can be performed to both sides and against any attack. 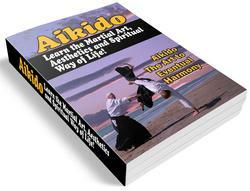 The effect of Harai is a sharp clash which knocks the attack aside.